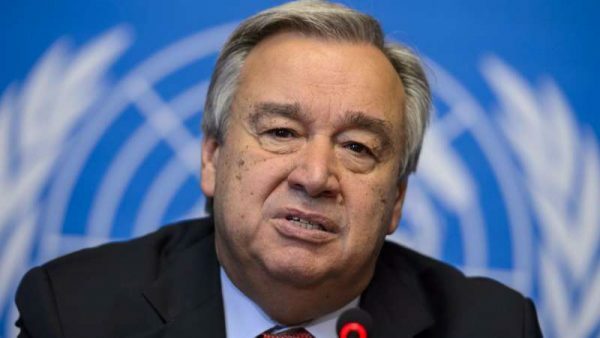 United Nations Secretary-General Antonio Guterres is “clear that the status of Golan has not changed,” UN spokesman Stephane Dujarric said on Monday after US President Donald Trump recognized the Golan Heights as Israeli territory. Syria, its allies, and fellow states in the region on Friday condemned US President Donald Trump’s pledge to recognise Israel’s annexation of the Golan Heights slamming the move as a violation of international law. “Hopefully it will remain (just) a call.” Any such move would break with UN Security Council resolutions and with more than half a century of US foreign policy, which treated the Golan as occupied territory whose future would be negotiated in talks with Syria on a comprehensive peace. Trump’s comments showed the extent of his administration’s “blind bias” towards Israel. “The Golan was and will remain Arab and Syrian,” the source said. The foreign ministry sent a letter to UN Secretary General Antonio Guterres, urging him to reiterate the UN’s rejection of Israeli claims over the Golan, SANA said. The Druze Arabs who are the inhabitants of the Golan heights protested on Saturday US President Donald Trump’s support for Israeli sovereignty over the territory. “This land has sovereignty and its sovereignty is the Syrian Arab Republic,” said local resident Rafiq Ibrahim in the town of Majdal Shams.